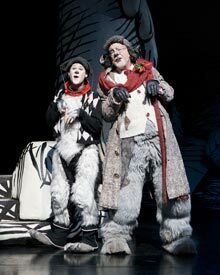 America's favorite holiday fable, back for its twelfth incredible year, is a wonderful, whimsical production that will once again jump right off the pages of the classic Dr. Seuss book and onto the Old Globe stage. 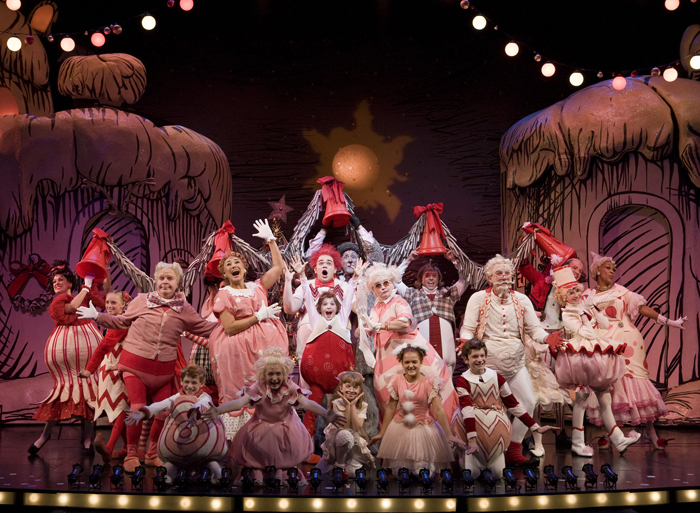 Come take part in the fun as The Globe is transformed into snow-covered Who-ville right down to the last can of Who-hash! 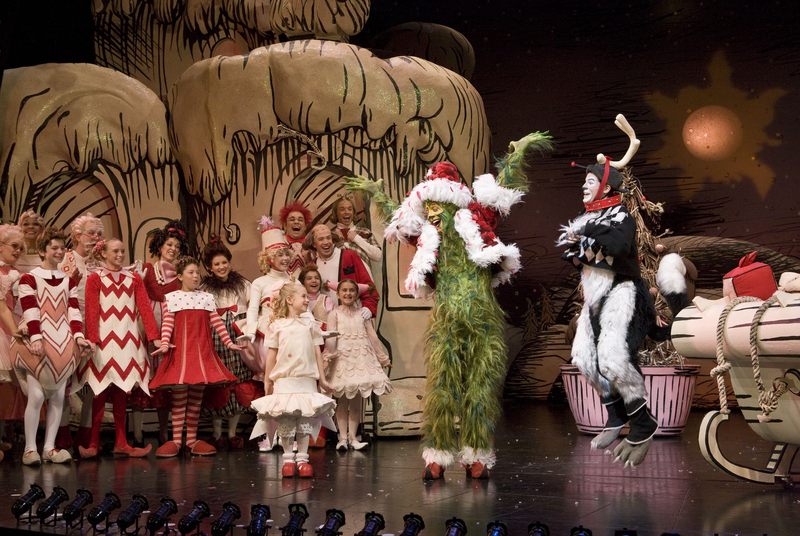 Jeff Skowron as The Grinch in Dr. Seuss' How the Grinch Stole Christmas!, at The Old Globe, Nov. 21 - Dec. 27, 2009. Photo by Craig Schwartz. 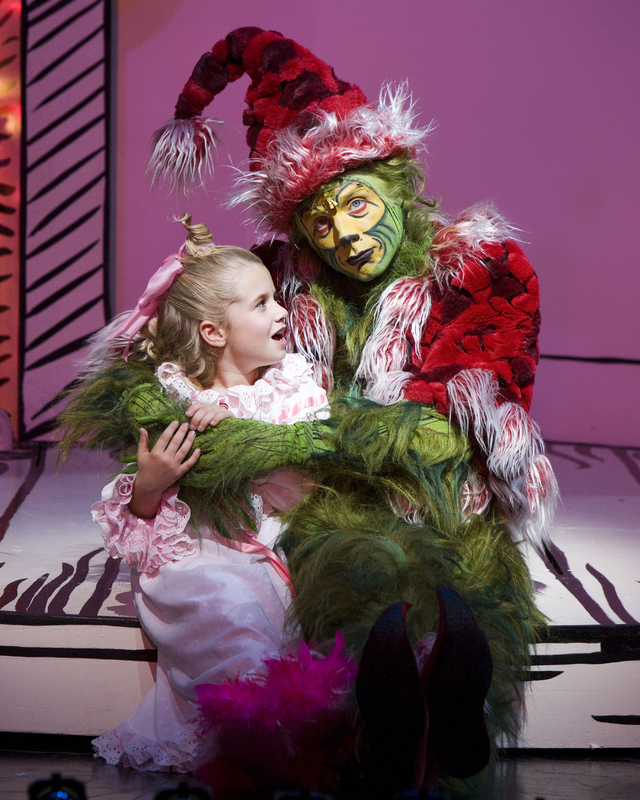 Shea Starrs Siben as Cindy-Lou Who and Jeff Skowron as The Grinch in Dr. Seuss' How the Grinch Stole Christmas!, at The Old Globe, Nov. 21 - Dec. 27, 2009. Photo by Craig Schwartz. Jeff Skowron as The Grinch in Dr. Seuss' How the Grinch Stole Christmas!, at The Old Globe, Nov. 21 - Dec. 27, 2009. Photo by Craig Schwartz. 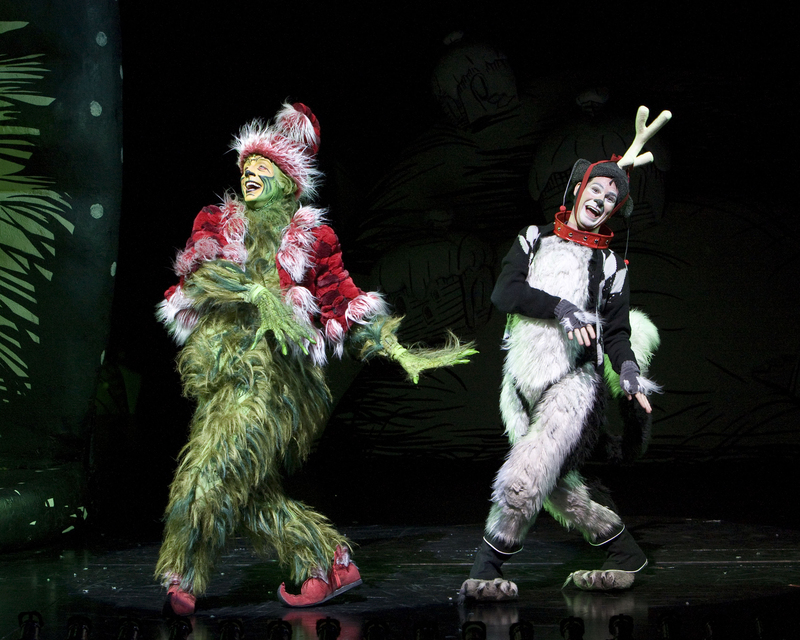 Logan Lipton as Young Max and Jeff Skowron as The Grinch in Dr. Seuss' How the Grinch Stole Christmas!, at The Old Globe, Nov. 21 - Dec. 27, 2009. Photo by Craig Schwartz. (front l. to r.) Cindy-Lou Who (Shea Starrs Siben), The Grinch (Jeff Scowron), Young Max (Logan Lipton) and all of Who-ville celebrate the gift of Christmas in Dr. Seuss' How the Grinch Stole Christmas!, at The Old Globe, Nov. 21 - Dec. 27, 2009. Photo by Craig Schwartz. 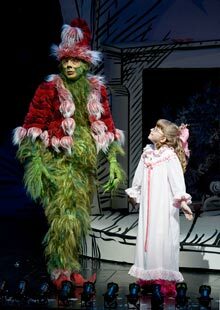 Jeff Skowron as The Grinch and Logan Lipton as Young Max in Dr. Seuss' How the Grinch Stole Christmas!, at The Old Globe, Nov. 21 - Dec. 27, 2009. Photo by Craig Schwartz. 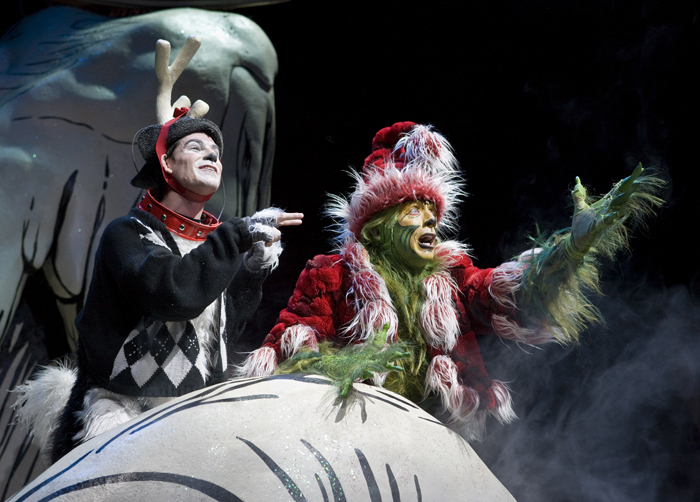 Logan Lipton as Young Max and Martin Van Treuren as Old Max in Dr. Seuss' How the Grinch Stole Christmas!, at The Old Globe, Nov. 21 - Dec. 27, 2009. Photo by Craig Schwartz. Jeff Skowron as The Grinch and Anna Bahen as Cindy-Lou Who in Dr. Seuss' How the Grinch Stole Christmas!, at The Old Globe, Nov. 21 - Dec. 27, 2009. Photo by Craig Schwartz. Logan Lipton as Young Max and Jeff Skowron as The Grinch in Dr. Seuss' How the Grinch Stole Christmas!, at The Old Globe, Nov. 21 - Dec. 27, 2009. Photo by Craig Schwartz. 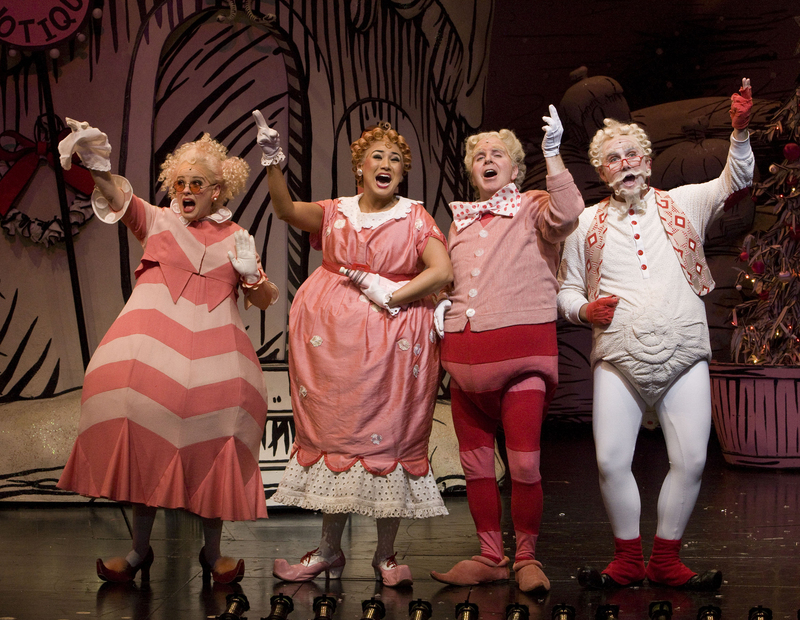 The citizens of Who-ville "Welcome Christmas" in Dr. Seuss' How the Grinch Stole Christmas!, at The Old Globe, Nov. 21 - Dec. 27, 2009. Photo by Craig Schwartz. (l. to r.) Eileen Bowman as Grandma Who, Anne Fraser Thomas as Mama Who, Steve Gunderson as Papa Who and Kürt Norby as Grandpa Who in Dr. Seuss' How the Grinch Stole Christmas!, at The Old Globe, Nov. 21 - Dec. 27, 2009. Photo by Craig Schwartz. 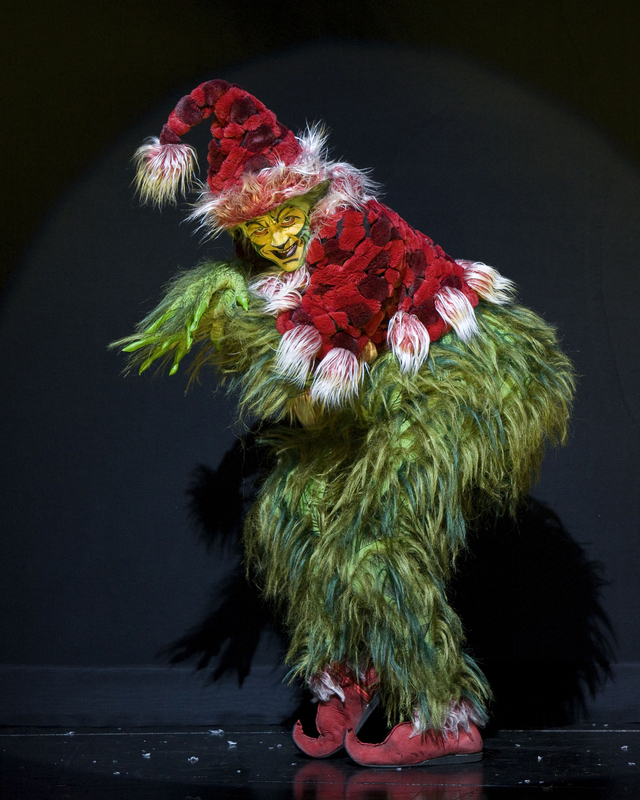 The Grinch is incognito in Dr. Seuss' How the Grinch Stole Christmas!, at The Old Globe, Nov. 21 - Dec. 27, 2009. Photo by Craig Schwartz. 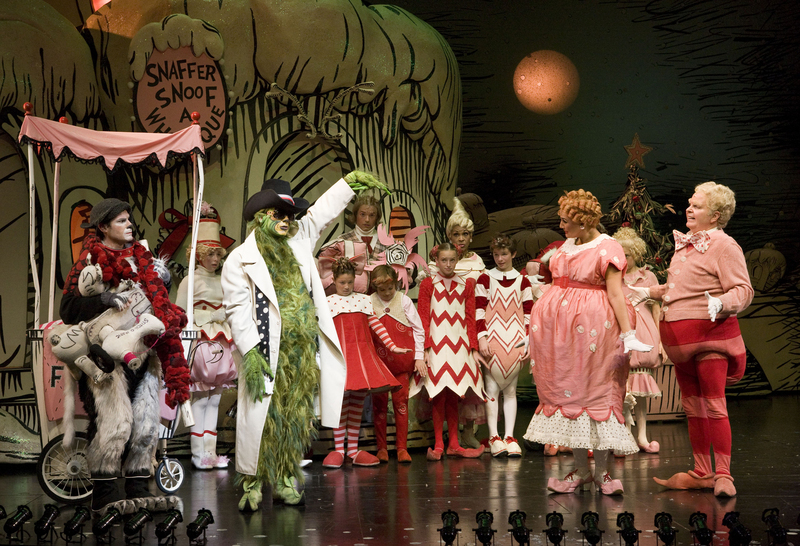 Jeff Skowron as The Grinch in Dr. Seuss' How the Grinch Stole Christmas!, at The Old Globe, Nov. 21 - Dec. 27, 2009. Photo by Craig Schwartz. 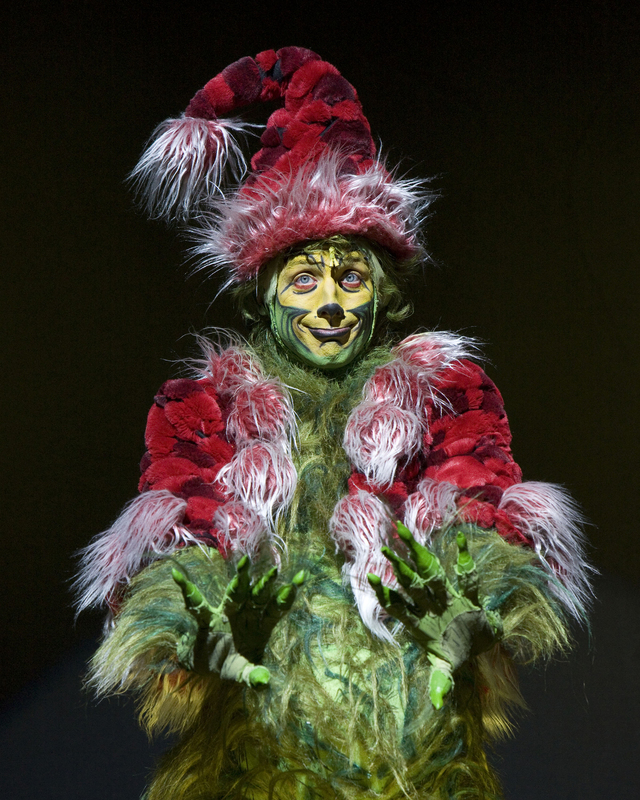 Jeff Skowron as The Grinch in Dr. Seuss' How the Grinch Stole Christmas!, at The Old Globe, Nov. 21 - Dec. 27, 2009. Photo by Craig Schwartz. 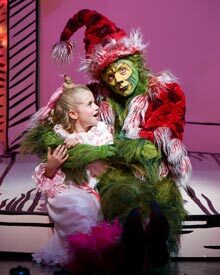 High Society, Dr. Seuss’ How the Grinch Stole Christmas!, and the workshop of The Boy From Oz (“Chris Bell” opposite Hugh Jackman). OFF BROADWAY: Debbie Does Dallas, Zombie Prom. REGIONAL: Hysterium in A Funny Thing Happened on the Way to the Forum and Luther in the world premiere of Leap, both at Cincinnati Playhouse; Hedwig in Hedwig and the Angry Inch at the Contemporary American Theatre. FILM: New York City Serenade, The Narrows, How to Seduce Difficult Women, The Good Shepherd, A Guide to Recognizing Your Saints, Premium, Chapter 27. TV: All “Law and Order”(s), “Mary and Rhoda.” Jeff plays Ryan on the hit web series “The Burg” (www.theburg.tv), directed by Peter Sollett, and Pippin on “All's Faire” (www.allsfaire.tv). Jeff and coproducer Matt Yeager (Puddinhead Bros.) are currently developing their new project, “Greg and Donny” (www.youtube.com/greganddonny). THE OLD GLOBE: Dr. Seuss’ How the Grinch Stole Christmas! BROADWAY: Dr. Seuss’ How the Grinch Stole Christmas! ELSEWHERE: Levitation, Only You, Bablyon Gardens (with Timothy Hutton and Mary-Louise Parker), The Fiery Furnace (starring Julie Harris), Circle Rep; THE YOUNG AMERICANS CYCLE: Ascension Day, The Less Than Human Club, Time on Fire, Mullen’s Alley and My Life in the Silents, A.C.T.’s Young Conservatory in San Francisco; Actor’s Theatre of Louisville; South Coast Rep; Seattle Rep; Victory Gardens; Portland Stage; Jungle Theatre in Minneapolis; Naked Eye in Chicago (Cannibals); the Guthrie Theatre Lab (Six). 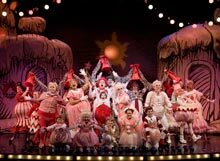 Many plays for young audiences at the Minneapolis Children’s Theatre Company, including several musicals in collaboration with Mel Marvin, and the first Dr. Seuss musical, The 500 Hats of Bartholomew Cubbins, with composer Hiram Titus. ﻿Tim’s novel, The Last Synapsid, is published by Delacorte Press and he's at work on a new one, The Real Inspector Bucket. 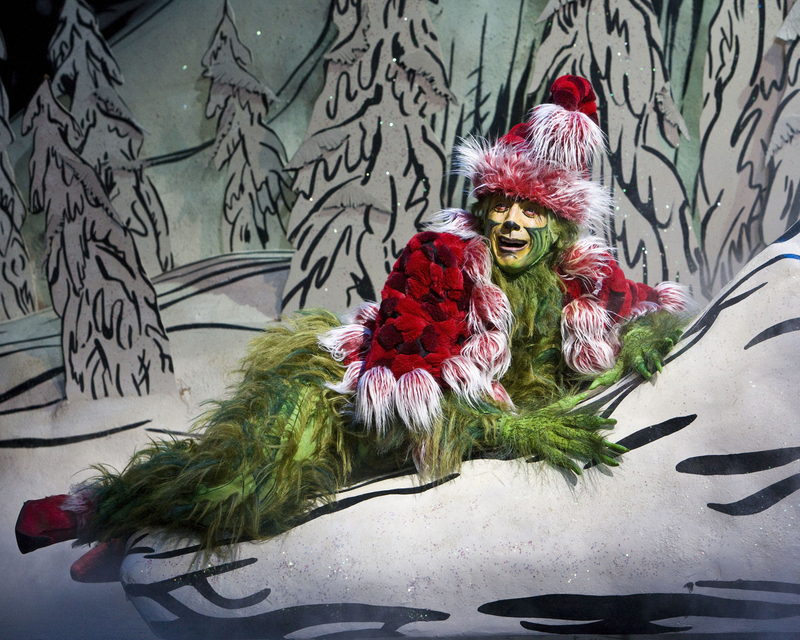 THE OLD GLOBE: Dr. Seuss’ How the Grinch Stole Christmas!, Tintypes. ELSEWHERE: Mel's Broadway credits include Yentl, A History of the American Film, Tintypes (Tony Award® nomination), Fascinating Rhythm, Dr. Seuss' How the Grinch Stole Christmas! ; Cymbeline, Lincoln Center Theater; he has had nine shows produced off-Broadway. Other credits include scores for many of America's best-known regional theaters, including Lincoln Center Theater, Arena Stage, The Guthrie, A.R.T., La Jolla Playhouse, and the Mark Taper Forum, where he was an associate artist and wrote the original music for Angels in America. CURRENT PROJECTS: Guest from the Future, an opera with libretto by Jonathan Levi, which had its premiere in the Summerscape program at the new Fisher Center for the Arts in July 2004; Buwalsky, an opera commissioned by Holland's Opera Spanga, which premiered in The Netherlands in August, 2004 and subsequently toured the U.S., with performances in New Haven and New York City. He is working on a new opera with librettist Laura Harrington, and he wrote a new score for the Guthrie Theater's Hamlet in March, 2006. 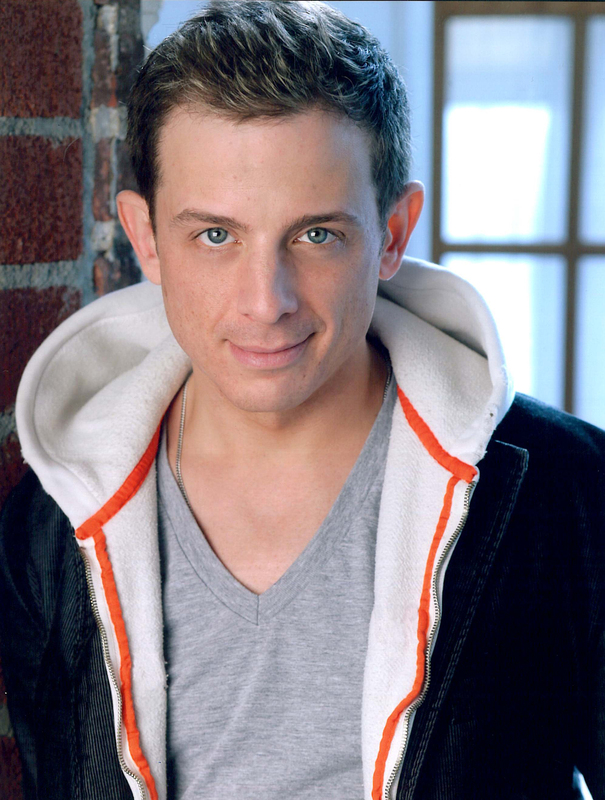 He is head faculty composer and producing director of the Graduate Musical Theatre Writing Program at NYU's Tisch School of the Arts. Dr. Seuss'How the Grinch Stole Christmas! 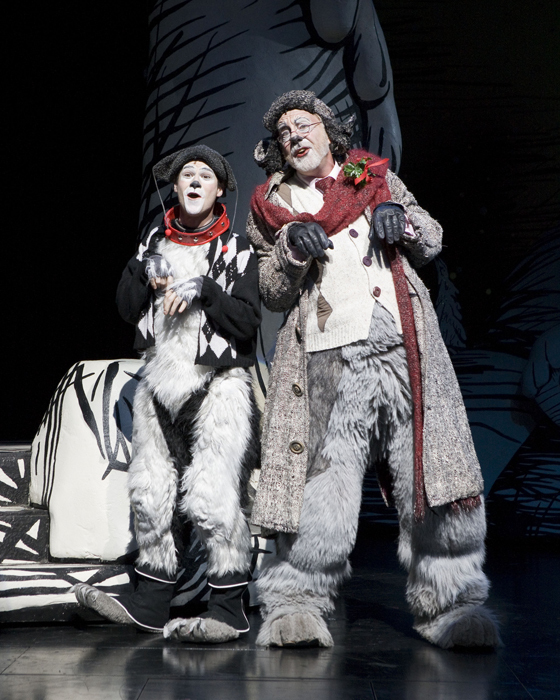 is one of seven musicals for young audiences Mel has written for his daughter, Kate. Mr. O’Brien served as the Artistic Director of The Old Globe from 1982 through 2007. Recent Globe productions: Dirty Rotten Scoundrels, Imaginary Friends, Twelfth Night, The Full Monty, The Seagull, The Magic Fire, Dr. Seuss’ How the Grinch Stole Christmas!, the world premieres of Associate Artist A.R. Gurney’s Labor Day and Tina Howe’s Pride’s Crossing, as well as Time and Again, The Doctor Is Out (Getting Away With Murder) by Stephen Sondheim and George Furth, plus productions of Henry IV, Much Ado About Nothing, Oleanna, Damn Yankees, King Lear, Ghosts, Hamlet, Uncle Vanya, and world premieres of Terrence McNally’s Up in Saratoga, A.R. Gurney’s The Snow Ball and The Cocktail Hour, Tom Dulack’s Breaking Legs, Associate Artist Stephen Metcalfe’s Emily. 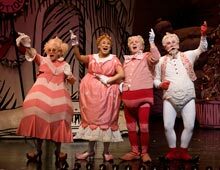 WEST END: Hairspray (Olivier Award for Best Musical, Best Director nomination). 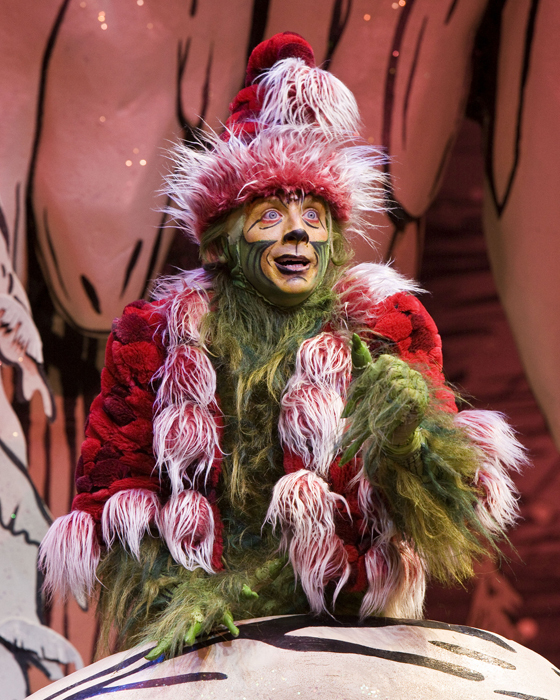 BROADWAY: Creator/ Supervisor, Dr. Seuss’ How the Grinch Stole Christmas!, The Coast of Utopia (2007 Tony Award® for Best Direction of a Play, which won a total of 7 Tony Awards, including Best Play), Dirty Rotten Scoundrels (Tony nominations: Best Director and Musical), Henry IV (Tony Award), Hairspray (Tony Award), The Invention of Love (Tony nominations: Best Director and Play), The Full Monty (Tony nominations: Best Director and Musical), More to Love, Labor Day, St. Louis Woman, Pride’s Crossing, The Little Foxes, Hapgood (Lucille Lortel Award for Direction, 1995), Damn Yankees (Tony nomination Best Musical Revival), Two Shakespearean Actors (Tony nominations: Best Director and Play), Porgy and Bess for Houston Grand Opera and Broadway (Tony Award), as well as Radio City Music Hall. 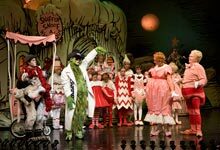 ELSEWHERE: The Magic Flute, San Francisco Opera; Tosca, Santa Fe Opera; Così fan Tutte and Aida, Houston Grand Opera; The Most Happy Fella, Michigan Opera and Broadway. TV: An Enemy of the People, All My Sons, I Never Sang for My Father, Painting Churches and The Skin of Our Teeth, all for PBS’s American Playhouse. RECENT AWARDS: 2008 Theatre Hall of Fame. 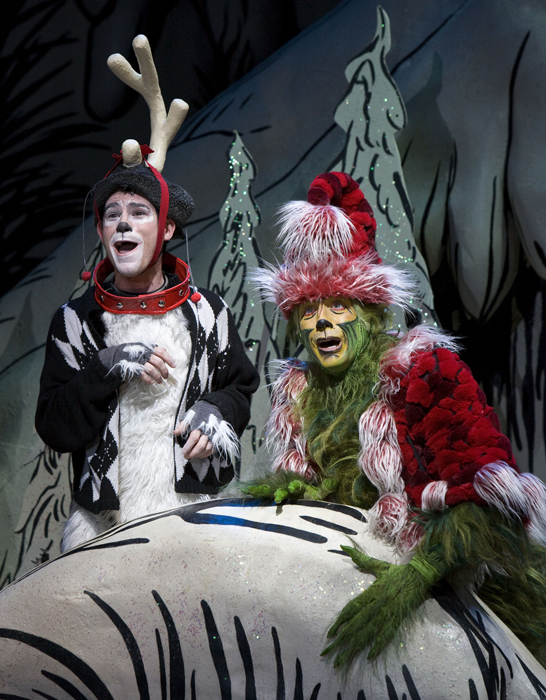 THE OLD GLOBE: Dr. Seuss' How the Grinch Stole Christmas! 2005 (Assistant Director) & 2007-8 (Director); As Assistant Director: Dirty Rotten Scoundrels, Compleat Female Stage Beauty . BROADWAY: The Coast of Utopia, Dirty Rotten Scoundrels, Barefoot in the Park. LONDON: West End Premiere of Hairspray (Associate Director). REGIONAL: Notes to MariAnne (Director), Eugene O'Neill Musical Theatre Conference; Company Manager at Hartford Stage Company. AWARDS: National Theatre Conference 2007 Paul Green Foundation Award; Society of Stage Directors and Choreographers 2005-2006 Mike Ockrent Fellowship. EDUCATION: BFA Degree in Directing from the University of Michigan. 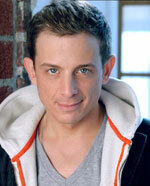 Benjamin lives in New York City and hails from Charlotte, North Carolina. FILM: Nine, Memoirs of a Geisha, Chicago, The Terminal. TV: Tony Bennett: An American Classic, 75th Academy Awards, Kennedy Center Honors. Broadway/NY theatre: Dr. Seuss’ How the Grinch Stole Christmas!, Minnelli on Minnelli, Broadway Sings Elton John, Deborah Voigt on Broadway, Sweet Adeline (Encores! ), Two Gentlemen of Verona (the Public). National Tour: The Boy Friend, Chita and All That Jazz, Music of the Night, Brigadoon. American Stage Co: Oedipus Private Eye, Lucky Guy, The Gig. American Musical Theatre Award, Choreography Media Honors, American Choreography Award, two Emmy Awards.